It’s hard to believe that just a few short weeks ago we were talking about all the things there are to do in London during the summer months. Now we’re in the home stretch to Christmas with little over four weeks to go until the big day is here. Undoubtedly one of our favourite times of the year, London comes alive at Christmas. 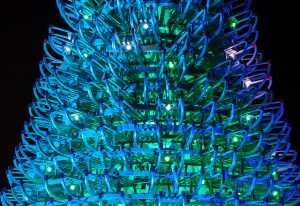 There’s so much to see and do in the city right the year round, but at Christmas we see a whole host of new sights and attractions to visit and experience. The summer is undoubtedly a great time of the year to take a trip to London. The long, bright days that are filled with sunshine and warm weather put everyone in a great mood. There’s a generally fantastic atmosphere that’s easy to soak up and enjoy, adding a touch of positivity wherever you go. 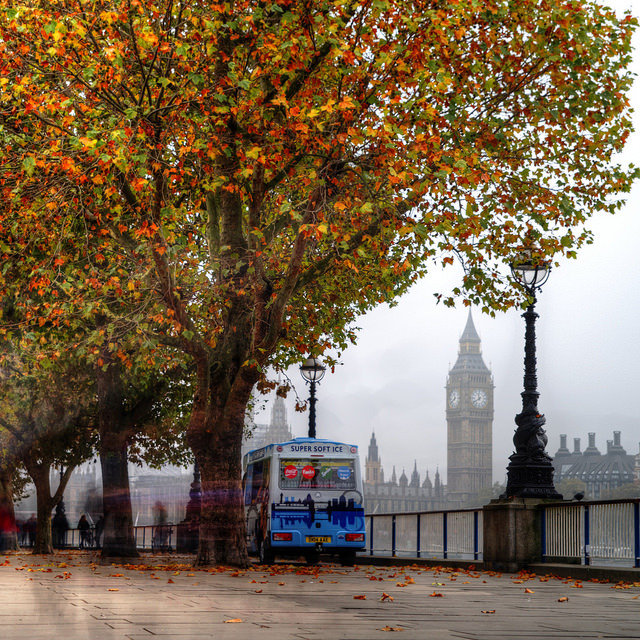 But whilst this may be the case, it’s hard to argue when people say autumn is their favourite time of the year to visit London. 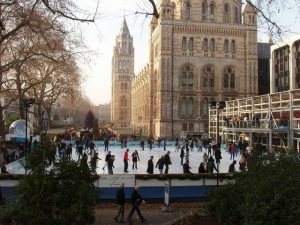 The Natural History Museum ice rink is here! There’s something for everyone at the Natural History Museum ice rink this Christmas. Whether out for a romantic rendezvous or a family outing, every single person leaves the ice rink with memories that can last a lifetime. 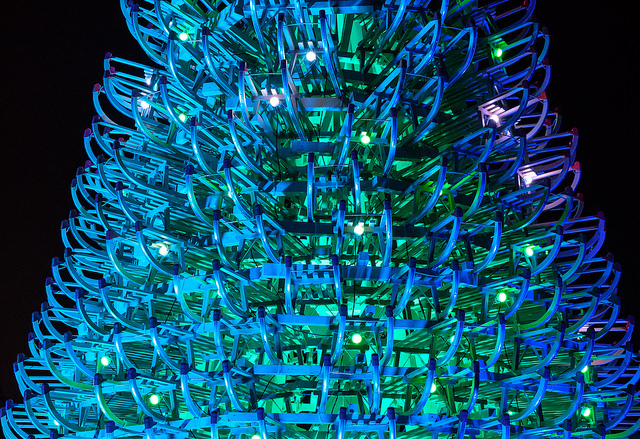 With more than 1,000 square meters of ice and over 75,000 fairy lights lacing the trees above, it guarantees one of the best festive atmospheres in London. Entertainment is available for visitors of all ages: a fairground carousel, a junior rink for younger skaters and delicious festive-themed refreshments in the Café Bar. Offering sumptuous food, warming drinks and creative cocktails, families can feast on delicious treats, and couples can cosy up with a hot chocolate on the open-air balcony overlooking the rink. Not to forget the museum itself, a day in the Natural History Museum is arguably the best museum experience in the world. With free entry, countless fossils and life-size replicas of dinosaurs including the majestic T-Rex, it’s truly breathtaking. And to finish your day? Take a pleasant stroll from the museum, through Green Park and Knightsbridge (which isa great way to take in some of London’s most prestigious areas), and finish with a drink in DUKES Champagne Bar, as featured on Made in Chelsea!